Scene №1 Kunaev DA in the Tselinograd region. Kunaev DA is at the plane gangway. and accompanying persons. meets a girl with a loaf of bread and salt. 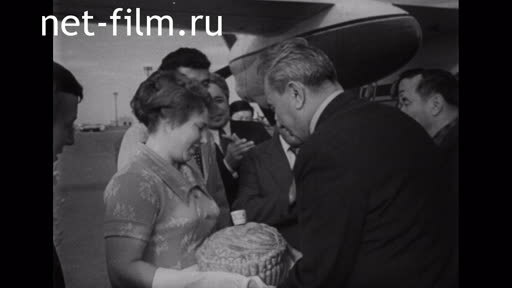 The girl gives a loaf to Kunaev DA. The girl is wiping tears of excitement, comrades are applauding. Kunaev Dinmukhamed Ahmedovich - First Secretary of the Central Committee of the Communist Party of the Kazakh SSR. Scene №2 Kunaev DA in Tselinograd, part 1. 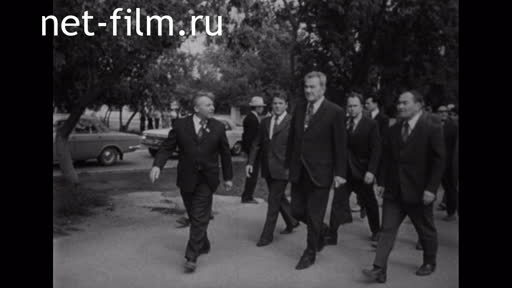 Kunaev DA and accompanying persons go along the street of Tselinograd. Scene №3 Kunaev DA in Tselinograd, part 2. 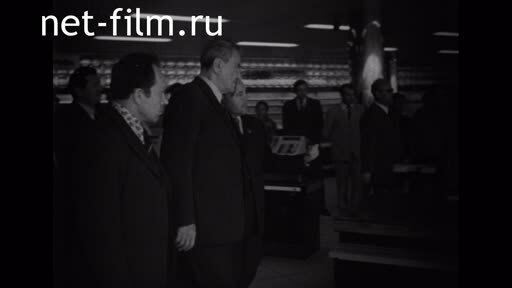 Kunaev DA and the persons accompanying him in the supermarket store. Scene №4 Tselinograd, Victory Avenue. Tselinograd Avenue of Victory view from above, cars and buses are coming. Scene №5 Tselinograd House of Life. 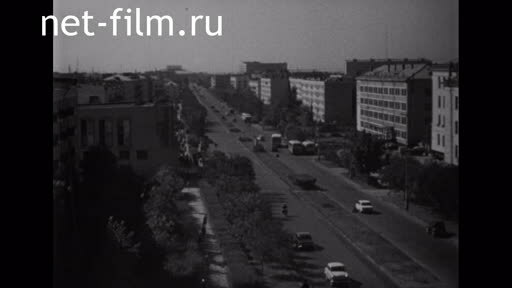 Scene №6 Kunaev DA in Tselinograd, part 3. 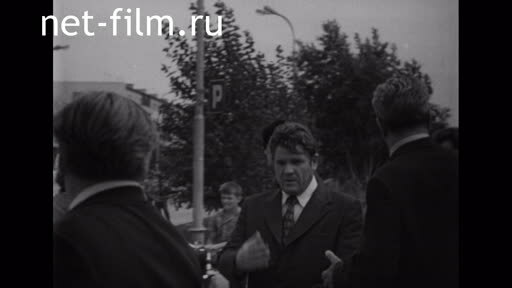 Kunaev DA and the persons accompanying him communicate in the street of Tselinograd. 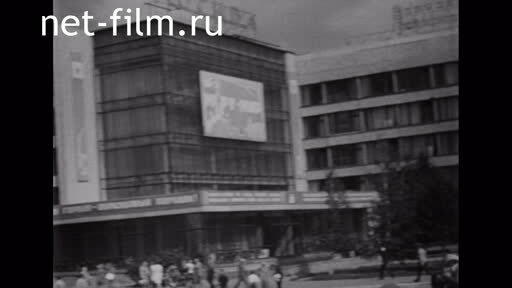 Scene №8 Kunaev DA in Tselinograd, part 5. Scene №9 Kunaev DA in Tselinograd, part 6. 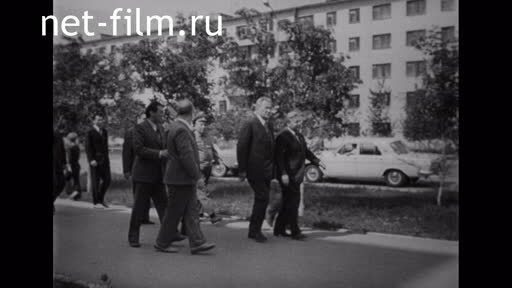 Tselinograd, Kunaev DA and the persons accompanying him communicate on Abai Avenue. 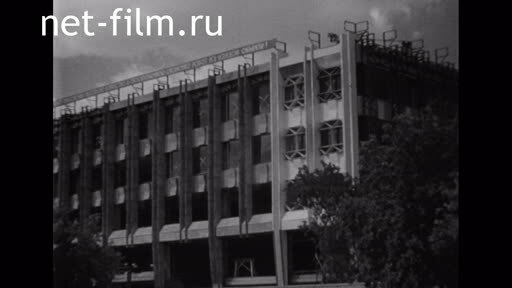 Scene №10 Kunaev DA in Tselinograd, part 7. 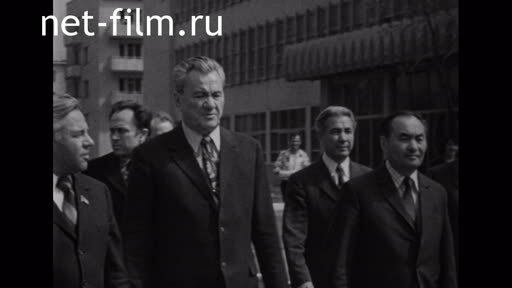 Kunaev DA and accompanying persons go along Abai Avenue to the Post Office. Scene №11 Kunaev DA in Tselinograd, part 8. Tselinograd, Kunaev DA and accompanying persons go along Abai Avenue. Scene №12 Kunaev DA in Tselinograd, part 9. Scene №13 Kunaev DA in Tselinograd, part 10. 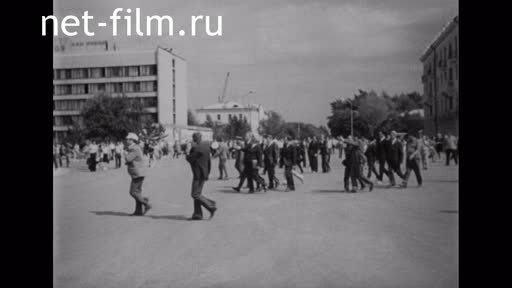 Tselinograd, Kunaev DA and the persons accompanying him walk along Lenin's Lenin Square. 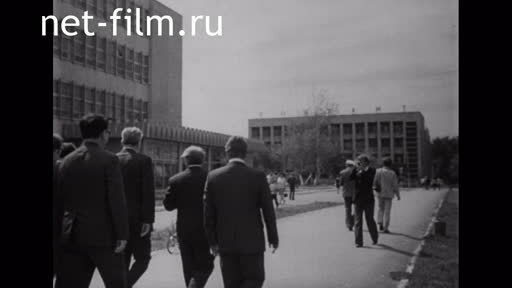 Scene №14 Kunaev DA in Tselinograd, part 11. 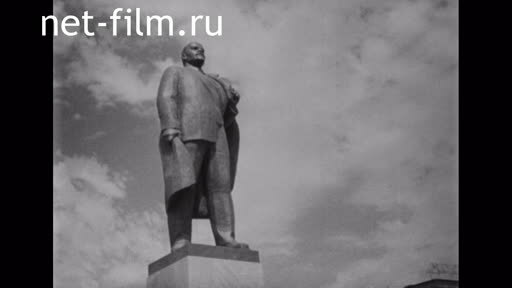 Tselinograd, Kunaev DA and the persons accompanying him stand on the square at the monument to Lenin VI. 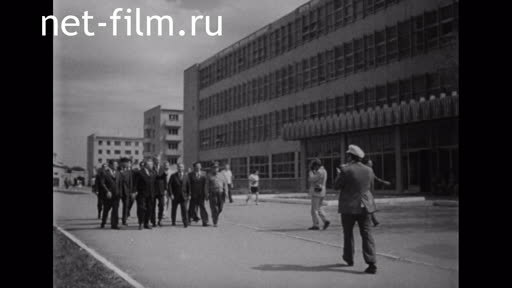 Scene №15 Kunaev DA in Tselinograd, part 12. 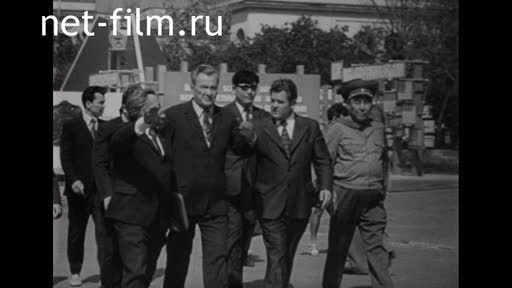 Tselinograd, Kunaev DA and his entourage go through Lenin's Square VI. to the hotel Moscow. Scene №16 Kunaev DA in Tselinograd, part 13. 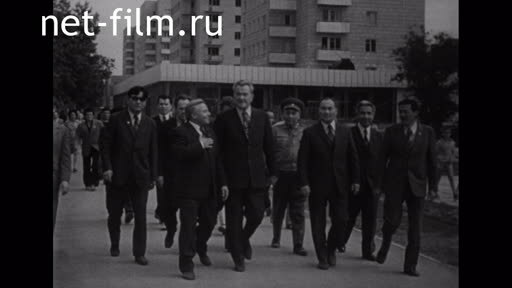 Tselinograd, Kunaev DA and the persons accompanying him go past the city's board of honor. 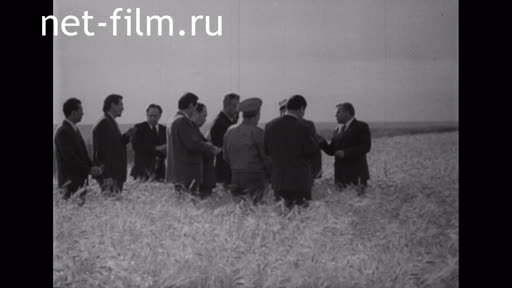 Scene №17 Kunaev DA meets with collective farmers. 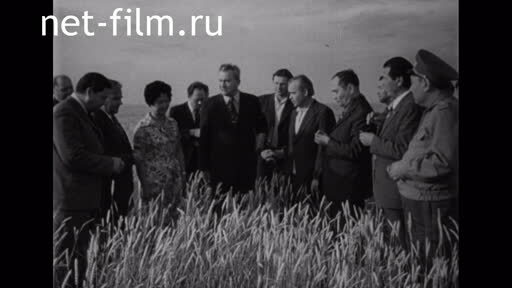 Kunaev DA and the persons accompanying him among the ears in the wheat field communicate with the grain growers. 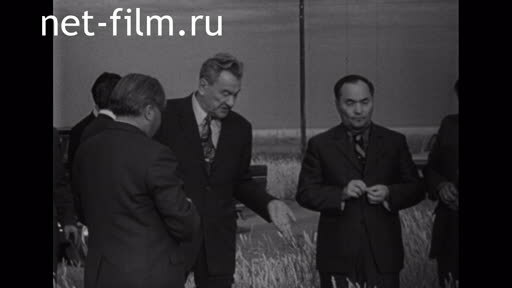 Scene №18 Kunaev DA meets with collective farmers, part 2. 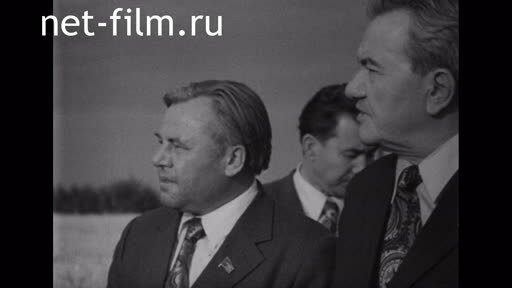 Kunaev DA and accompanying persons communicate with grain growers. 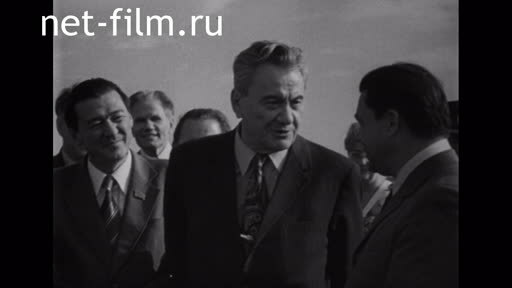 Scene №19 Kunaev DA meets with collective farmers, part 3. 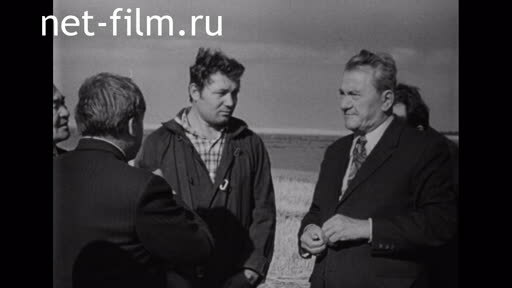 Scene №20 Kunaev DA meets with collective farmers, part 4. 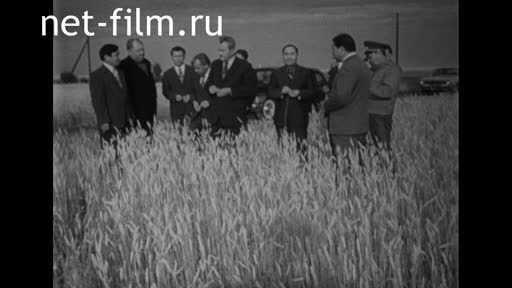 Kunaev DA and the persons accompanying him among the ears in the wheat field communicate with the grain growers, the general plan. 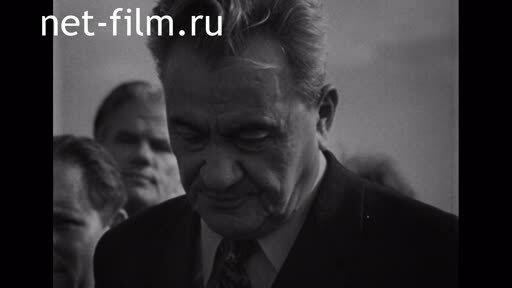 Scene №21 Kunaev DA meets with collective farmers, part 5. 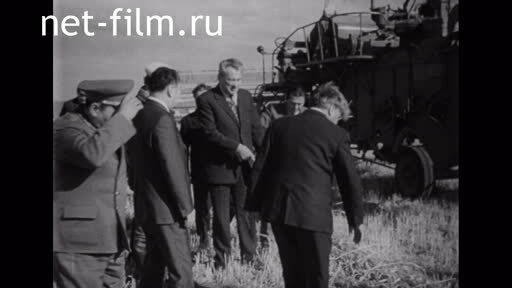 Kunaev DA and accompanying persons communicate with grain growers near the combine. 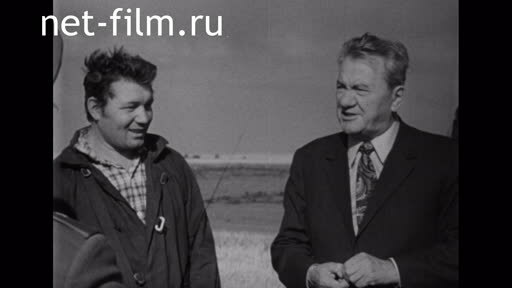 Scene №22 Kunaev DA meets with collective farmers, part 6. 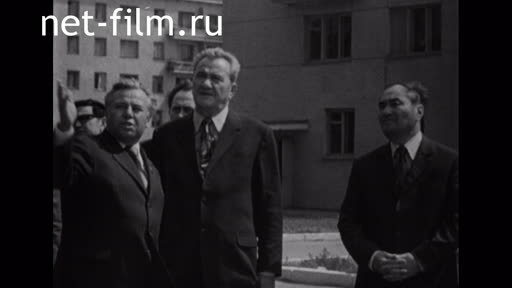 Scene №23 Kunaev DA meets with collective farmers, part 7. Scene №24 Tselinograd House of Life, part 2. People walk along Abai Avenue, the Post Office building. 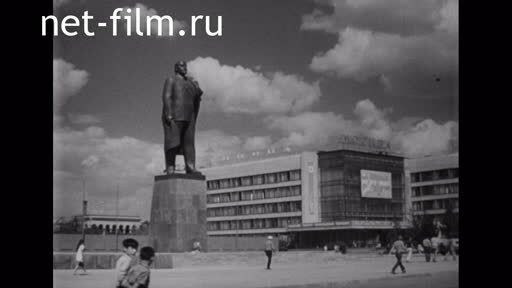 Scene №26 Tselinograd, the Lenin Square VI. Tselinograd, the Lenin Square VI. 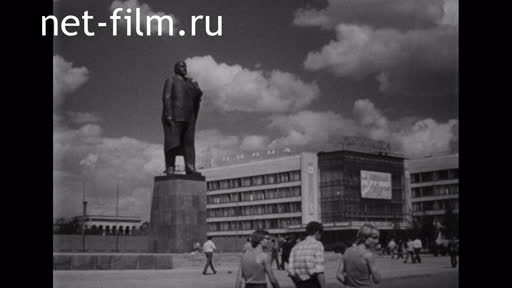 Scene №27 Tselinograd, Lenin Square VI, part 2. Scene №28 Kunaev DA in Tselinograd, part 3. 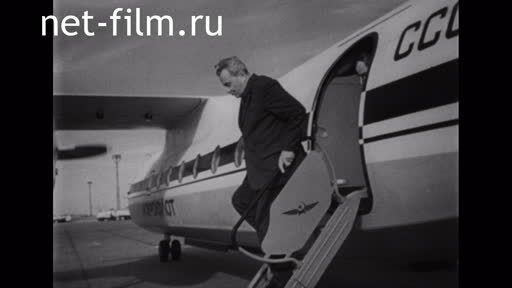 Kunaev DA Down the ramp of the plane greet greeting. 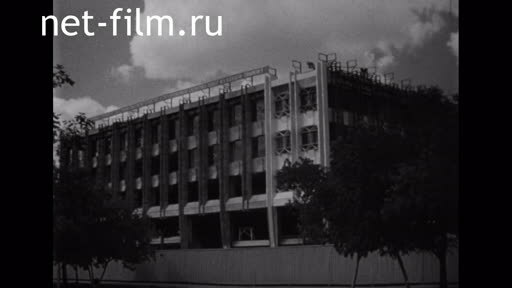 Scene №29 Kunaev DA in Tselinograd, part 4. Kunaev DA communicates with those who meet. Scene №30 Kunaev DA in Tselinograd, part 5. 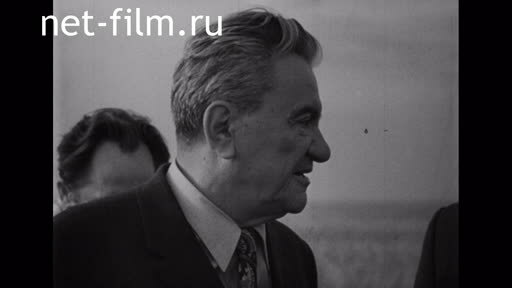 Scene №31 Kunaev DA meets with collective farmers, part 8. 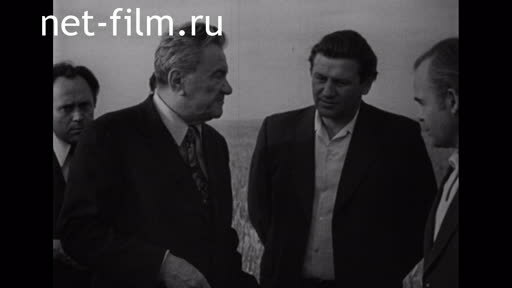 Scene №33 Kunaev DA meets with collective farmers, part 10.